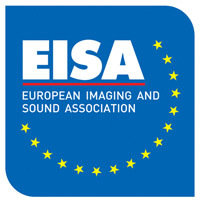 http://www.eisa.eu The European Imaging And Sound Association (EISA) är organisation som varje år utser vinnande produkter ur olika kategorier, däribland foto. EISA består av representanter från 50 olika branschtidningar från 19 olika europeiska länder. Första samlingen skedde år 1982 när flertalet olika skribenter inom foto samlades för att utse ' Årets kamera ' och för varje år anslöt fler skribenter och tidningar för att tycka till. 1989 bildades organisationen EISA och man har sedan dess fortsatt att varje år utse de bästa produkterna för året som har gått och deras årliga ' EISA Awards ' har blivit ett stort internationellt erkännande för de produkter som prisas. Nedan visas de objektiv i vår databas som har mottagit priser av EISA. "With the 24-70mm F2.8 Di VC USD Tamron has managed to come up with a seriously attractive lens for anyone using a full frame SLR camera. This is a large-aperture standard zoom featuring image stabilisation, silent autofocus and sharpness that easily matches the demands of today’s high-resolution cameras. Tamron’s 24-70mm F2.8 is also a sturdy and well-built lens with rubber seals protecting it in moist or dusty conditions. It truly feels like a professional lens and also performs like one when autofocus, image stabilisation and image quality is concerned. A lens to rely on, whether you are photographing for a living or simply for pleasure." "The Sigma APO Macro 150mm F2.8 EX DG OS HSM is one of the best performing macro lenses available on the market. The combination of a long focal length, and thereby good working distance between lens and subject, high sharpness even at full aperture and optical image stabilisation makes it perfect for catching dragonflies, butterflies and other elusive insects handheld. But the lens is also excellent for photographing plants or portraits when you want to achieve a really soft and pleasant blurry background. If you also consider how solidly this lens is made, its price makes it a real bargain!" "In the 70-200mm F2.8 EX DG OS HSM, Sigma has produced a telephoto zoom lens that offers professional features and exceptionally good image quality at a very reasonable price. Even at the maximum aperture of F2.8 the lens delivers excellent sharpness and, combined with an effective image stabilizer (OS) and fast, silent autofocus (HSM), it is well suited to demanding photographic subjects such as nature, sports and documentary. Available with fittings for most camera brands, and covering APS-C and full-frame sensors, this lens is a perfect choice for both demanding amateurs and professional photographers." "The Canon EF 70-300mm F4-5.6L IS USM is an amazing telephoto zoom lens that combines high image quality with an extremely durable construction and a surprisingly compact design. It sets a new standard for this popular zoom range with its professional autofocus performance and the latest generation of Image Stabilization, but is still affordable for the enthusiast. Throughout the zoom range the lens shows optical qualities that are in line with fixed focal length lenses - it performs very well even at its widest aperture, and the environmental shield protects it from moisture and dust." "This compact zoom lens is an excellent tool for travel photographers, who can now carry a single all-in-one zoom lens instead of the multiple lenses that would normally be needed to cover this range of focal lengths. Designed for the popular APS-C sensor format, it delivers a focal range that is suitable for anything from landscapes to wildlife photography. The lens is small and light, and the main zoom ring is comfortable and easy to operate. The maximum aperture at the wide-angle end is well suited for working in low-light conditions or when a shallow depth of field is required, and Tamron’s new piezoelectric motor achieves near-silent autofocus."